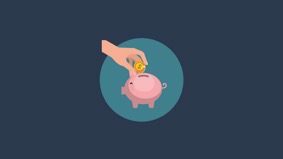 Throughout 2017, we conducted an online salary survey open to a range of data science professionals in order to capture data to help us better understand the market. We’ve selected data spanning USA, Europe and APAC to offer a detailed cross-examination of the Data Science landscape. Through this we’ve gained great insight into pay and benefits, job satisfaction, technical abilities and education. Our key finds are mainly driven by the nature of a skills short market and the subsequent challenges in the supply vs demand for data science professionals. Our survey showed that the majority of respondents had spent 1 year or less with their current company. Whilst this is not indicative of experience levels, it signals to the heightened demand for data scientists and the volume of new professionals entering the field. The most popular reason for people wanting to leave their current role was overwhelmingly the potential for higher earning elsewhere. Similarly, this can signify the demand v supply and nature of a candidate driven market. This is closely followed by people wanting a better work/life balance. Most respondents would find it easy to find new work, with the majority preferring to find one through social media sites, and network referrals. 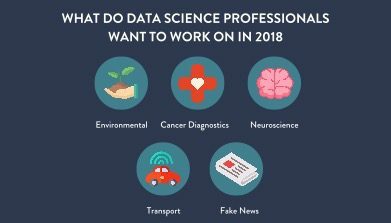 Of those surveyed, there was a trend in using technology for good when asked what projects Data Science professionals would like to work on. We would like to thank all the respondents (over 3,000), and hope to gain more traction over the coming year to make our next report even bigger and better! To view the full report, download your copy for free here!